Los tumores de la cavidad nasal y de los senos paranasales son tumores raros, (0,2 % de los tumores malignos). Son más frecuentes en algunas áreas geográficas como Japón y Africa, y en varones (proporción 2:1). Aparecen generalmente en edades medias de la vida. Los senos paranasales son cavidades aéreas intraóseas recubiertas de epitelio respiratorio que se encuentran en determinados huesos faciales, se comunican entre sí y con la cavidad nasal por medio de orificios.Hay cuatro grupos de senos: maxilares, frontales, etmoidales y esfenoidales. Los tumores en este área suelen ser unilaterales. Su localización más frecuente es en el seno maxilar. Debido a que los síntomas se parecen mucho a la de los procesos sinusales benignos (sinusitis, pólipos nasales), su diagnóstico se suele hacer en fases avanzadas de la enfermedad. Entre las causas, se ha relacionado con la exposición en el trabajo a madera, petróleo y piel, consumo de alimentos en salazón, exposición a radiaciones y a la infección por el virus del papiloma humano. El diagnóstico se realiza fundamentalmente a través de pruebas de imagen como las radiografías de cráneo, TAC de senos paranasales y Resonancia Nuclear Magnética, esta última permite obtener mejores imágenes de tejidos blandos. El diagnóstico definitivo es por la biopsia. Dada la localización de estos tumores en ocasiones es preciso tomar la biopsia en el momento de la cirugía (biopsia intraoperatoria). A nivel histológico el Carcinoma epidermoide representa el 80 % de los tumores de esta localización. Otros tumores que se pueden presentar son: Carcinoma de glándulas salivares menores (carcinoma adenoide-quístico, adenocarcinoma y mucoepidermoide), estesioneuroblastoma (se origina en el nervio olfatorio) y linfomas, plasmocitomas, sarcomas y melanomas. La base del tratamiento de estos tumores es la cirugía asociada o no a radioterapia (excepto los linfomas y los plasmocitomas). La radioterapia como tratamiento único tiene resultados muy pobres. En tumores precoces la cirugía radical es el único tratamiento curativo, asociándose radioterapia en los casos en que los márgenes del tumor estén muy próximos al borde. El tratamiento quirúrgico tiene como objetivo la extirpación radical de la lesión con márgenes adecuados de tejido sano, así como la reconstrucción funcional y estética del paciente. El tipo de intervención se programa de acuerdo con la localización y extensión de las estructuras afectadas. La causa más frecuente de fracaso del tratamiento en los tumores malignos de cavidad nasal y senos paranasales es la falta de control local del tumor. For most nasal cavity or paranasal sinus cancers, surgery to remove the cancer (and some of the surrounding bone or other nearby tissues) is an essential part of treatment. If the cancer has spread to the lymph nodes of the neck, the surgeon may also remove lymph nodes with an operation called a neck dissection. Often, surgery is combined with other treatments such as radiation therapy to get the best result. 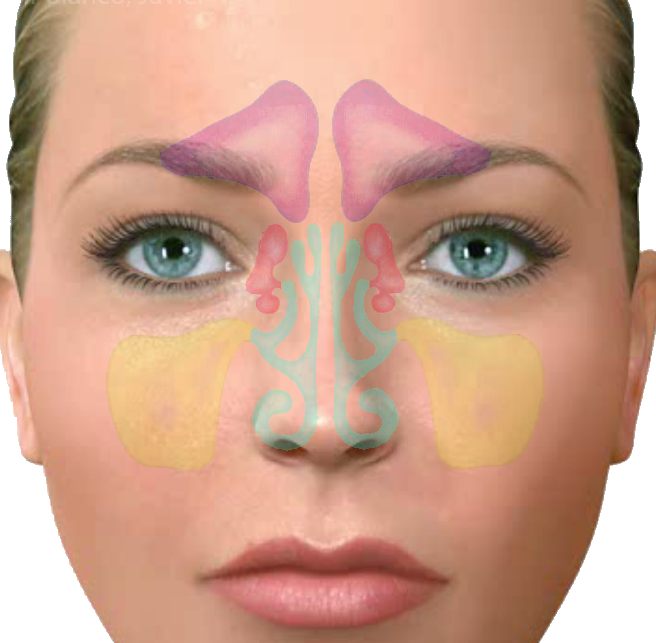 The area around the nasal cavity and paranasal sinuses has many important nerves, blood vessels, and other structures. The brain, eyes, mouth, and carotid arteries (arteries that supply blood to the brain) are also close by, making surgical planning and surgery itself difficult. The surgeon must also take into account how the face will look and function after surgery. The goal of surgery in these areas is to remove the entire tumor and a small amount of normal tissue around it while keeping appearance and function (such as breathing, speech, chewing, and swallowing) as normal as possible. Unfortunately, these cancers often involve the eye or orbit (the bone and tissue surrounding the eye) by the time they are noticed or cause symptoms. Most of the time the eye can be saved, but sometimes the entire orbit and eye may need to be removed to give the best chance for cure. Depending on the extent of the operation needed, your appearance may change as a result of surgery. This can range from a simple scar on the side of the nose to more extensive changes if nerves, parts of bones, or other structures need to be removed. It’s important to talk with your doctor before the surgery about what these changes might be to help prepare you for them. He or she can also give you an idea about what options might be available afterward, such as reconstructive surgery. Because of the complex nature of these operations and the fact that these cancers are not common, it is very important to have a surgeon who has experience treating these cancers. Nasal cavity cancers are often removed by a procedure called wide local excision. This means removing the tumor plus an area of normal tissue surrounding it. The goal is to remove enough tissue so that no cancer cells remain. If the tumor is in the middle dividing wall of the nasal cavity (the nasal septum), sometimes the entire septum or a large portion of it will be removed. If the tumor is in the lateral (side) wall of the nasal cavity, often this wall must be removed by a procedure called amedial maxillectomy. For this operation, the surgeon will usually cut through the skin along the side or edge of the nose and fold the external nose toward the opposite side to see and work on the tumor. Then the side of the nasal cavity can be removed by cutting the bone and soft tissue as needed. Sometimes, if the cancer is in a certain spot, the surgeon can reach the tumor by cutting under the upper lip instead. This approach has the advantage of avoiding any skin incisions. Discuss which approach or incision you may need with your head and neck surgeon. If the cancer has reached the skin or deeply invades the tissue of the external nose, part (or all) of the nose may need to be removed. There are many ways to rebuild the nose with surrounding facial tissues. Or a cosmetic prosthesis (made of artificial materials) may be used to make a new nose. Operations for paranasal sinus tumors vary, depending on its specific type, location, size, and growth into other structures. If the tumor is very small and/or benign and is only in the ethmoid sinuses, an external ethmoidectomy may be done. The surgeon performing this operation will cut through the skin on the upper side of the nose next to the upper eyelid. Bone on the inner side of orbit (eye socket) and nose will be removed to reach tumors inside the ethmoid sinuses. If the tumor also involves the maxillary sinus, a maxillectomy may be done. The type of maxillectomy depends on where the tumor is and whether it also involves nearby tissues. The surgeon may make an incision along the side of the nose from the eyebrow or upper eyelid down to or through the upper lip. Or the incision may be made under the upper lip as discussed above. The bones around the maxillary sinus are cut so that the entire tumor and some surrounding tissue can be removed in one piece. This operation may remove bone from the hard palate (the roof-of the mouth), upper teeth on one side of the mouth, part or all of the orbit (eye socket), part of the cheekbone, and/or the bony part of the upper nose. If the cancer involves the ethmoid sinuses, frontal sinuses, and/or the sphenoid sinuses, an operation called acraniofacial resection may be done. This operation is similar to a maxillectomy except that the surgeon may also remove upper parts of the eye socket and the front of the skull base. This is an extensive operation that is done by a surgical team that usually includes an otolaryngologist (head and neck surgeon) and a neurosurgeon (a surgeon who operations on the brain, spinal cord, and other nerves).